Nu Wave© antibacterial and antifungal nail enamel is safe, effective and hypoallergenic. Containing triclosan preservative so each brush is clean even after many uses. Available in 12 colours as well as clear top and base coats. Sterishoe® shoe sanitizer kills the organisms that cause toe nail fungus, athletes foot and offensive shoe odor. From the Sterishoe to creams and sprays, our online shop has it all. Fungal nail infections are becoming increasingly common, affecting up to one in ten of the UK population. Fungal nail infections can be unsightly and embarrassing and, until now, fungus has been VERY difficult to treat. The laser experts at the London Nail Laser Clinic use the latest technological treatments, the Lunula ‘Cold’ Laser, to tackle the cause of fungal infection, not just the symptoms. 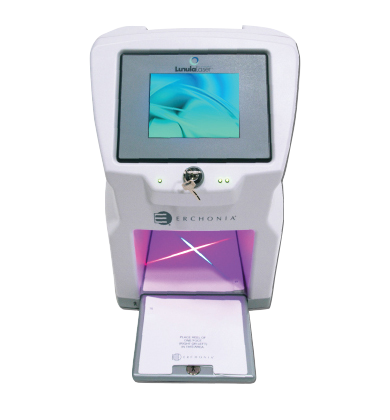 Whether it be fingernails or toenails, the Lunula ‘Cold’ Laser is safe and painfree and has been shown to efficiently eliminate nail fungus where others have failed. Leading the way in laser treatments for fungal nail infections, The London Nail Laser Clinic is the only clinic specialising in laser nail fungus treatment. Founded in June 2009 as the pioneers of nail laser treatment in Europe, its Director Martine Abrahams, has been sought out to address both 2012 Annual Society of Chiropodist and Podiatrist conventions in the UK and Ireland, as well as lecturing at various conferences throughout Europe. Martine carries out all training for any new Lunula providers. 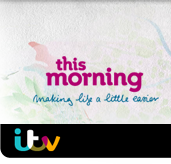 She also featured on ITV’s This Morning with Dr Chris discussing the treatment. Martine, a Podiatrist who graduated from The Birmingham School of Podiatry in 1996 has been providing treatment for this very stubborn and unsightly infective disease throughout her career both in the NHS and Private Practice. Using the latest low level laser therapy called Lunula (often called Cold Laser) she and her associates are able to safely penetrate beneath the nail to eradicate the spores and encourage the nails to heal. Whether it be fingernails or toenails, this safe treatment has shown its efficiency at eliminating nail fungus where others have failed. Nearly all patients receiving treatment show some degree of improvement at six months with over three quarters of these showing significant clean healthy nail growth. The London Nail Laser Clinic has proven itself as the new way forward in treating this condition.